Zuo Modern's Solaris Table Lamp brightens up your desk surface or delivers luminous accent lighting to your living space in practical yet elegant form. Compact and convenient in design, this modern table lamp adds function and style to any surface it occupies without taking up too much space or creating clutter. 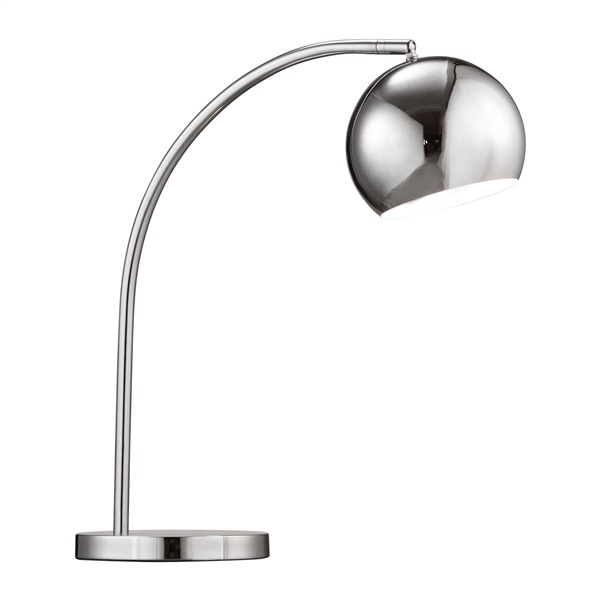 A gracefully curved arm bears a single bulb encircled by an open sphere shade constructed from high shine chrome. The Solaris Table Lamp's full chrome finish adds radiance to the sleek, simple design and complements a variety of settings.